Pam is a legendary beauty. 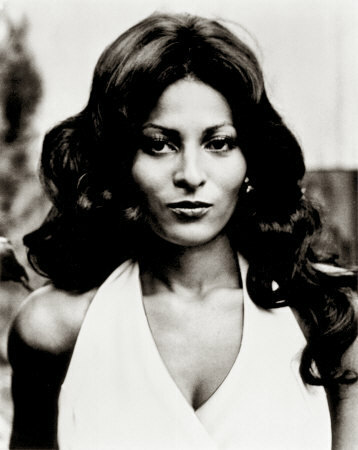 I remember her as Foxy Brown. Yessir! Happy Black History Month! That's me she's flirtin with while she's sippin on that mimosa on the couch! ...I just cropped myself out so ya'll fellas wouldn't be jealous. OMG, I LOOOOVE HER! My fave for her is Jackie Brown and the L Word...homegurl is still kicking entertainment booty! What happened to the female version of this??? I might have to reactivate that. LOL Great pick Nels. lol You have to go find Evy, she tried to keep up with me but fell by the wayside...that tends to happen a lot. Thanks.